From the minute they are born babies are longing and looking for contact. It is nice to see how well they are equipped to do so. They send signals when they are hungry, when they feel (un)safe, or when they recognize their attendants. Usually parents and children attune instinctively, which enables the child to develop. Body language is important in this process. 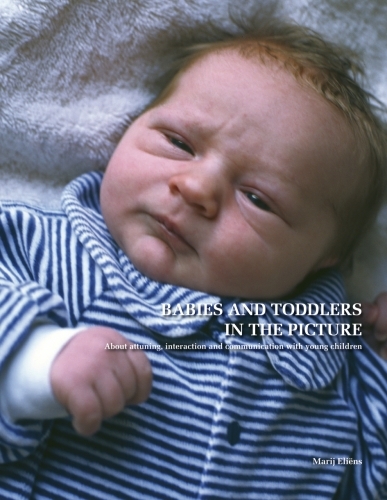 Babies are reassured by successful moments of contact and are motivated to learn and to grow. Unfortunately parents overlook these important moments. This is caused, for instance, when an incubator disrupts the contact between mother and child, when a child is restless by nature and cries a lot, when a child is ill or disabled, or when parents have personal problems and are therefore less receptive to the contact signals of their child. Video recordings can help parents to become aware of the initiatives (call them initiatives of a genius!) and the positive reactions of their child. By analyzing the contact moments image-by-image parents can recognize and understand the signals of their child, as subtle as they may be, and are thus able to respond to them (again). This is the essence of video home training and video interaction guidance. Babies and Toddlers in the Picture describes how interaction and communication develops between parents and young children and explains what parents can do to improve communication with their child when problems in their development occur. This book provides parents as well as professionals with specific information about the development of young children and describes how professionals can support parents with video feedback. 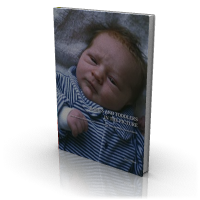 Numerous examples, illustrations, and the DVD included make it a suitable tool for parents as well as for professionals who want to support parents in a pleasant and constructive way.